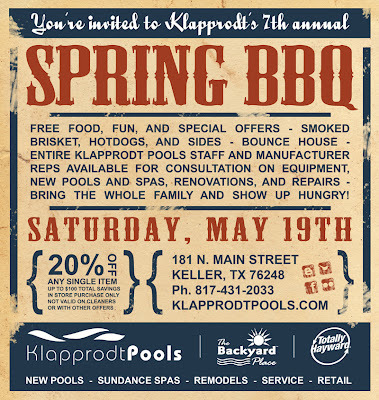 You’re invited to Klapprodt Pools 7th Annual Spring BBQ Saturday, May 19th! We will have free food, fun, and special offers. Food selections will include smoked brisket, hot dogs, and plenty of sides. A bounce house will be available for the kids most of the day. For one day only take 20% off any single item up to $100 in total savings (in store purchase only, not valid on cleaners, not valid with other offers). We will have the entire Klapprodt Pools staff available for consultation on new pool design and construction, remodels, service, and Sundance Spas. Manufacturer representatives will also be present for equipment inquiries. 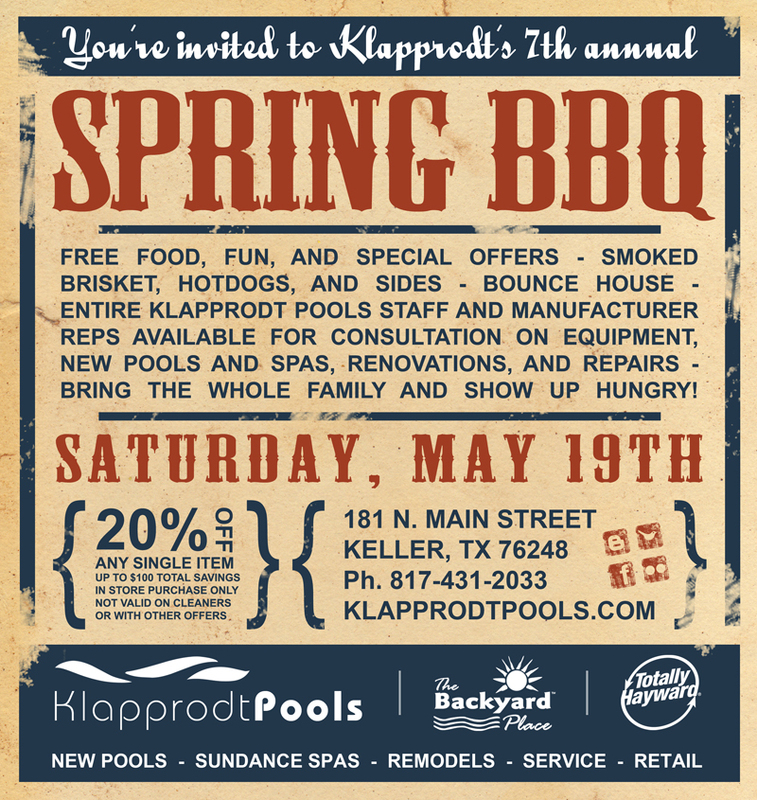 Be sure to stop by Klapprodt Pools Saturday, May 19th to meet our team, enjoy some food and fun, and take advantage of our special offers in our retail store. Bring the whole family and come hungry! Next Next post: Swim Season is Almost Here!